The internet was practically set ablaze yesterday when Rush Hour stars Jackie Chan and Chris Tucker reunited for an Instagram post holding up the number four on their hands, creating buzz on a potential fourth installment finally coming to fruition, but Chan’s management company has shot down the rumors in a statement. On the actor’s official website, his management company JC Group issued a letter stating that online speculation/confirmations that Chan would star in a fourth installment of the Rush Hour franchise and in a sequel to the 2010 remake of The Karate Kid were false, crushing the hopes of fans who have been anxiously waiting for Detectives Lee and Carter to head out on another action-packed adventure. 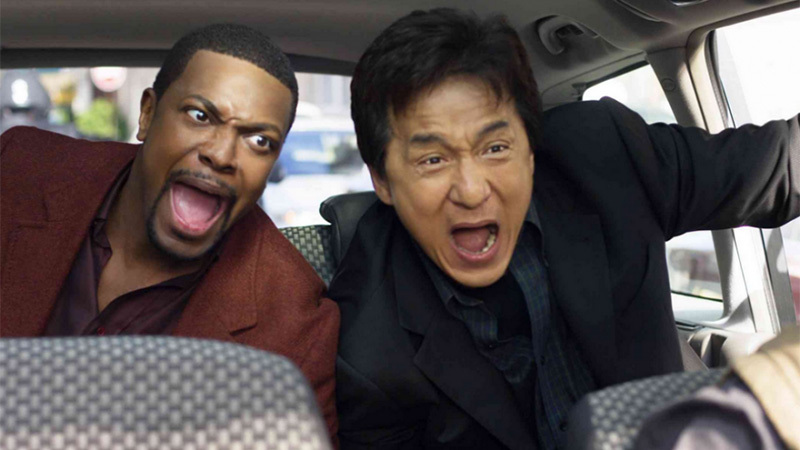 Jackie Chan and Chris Tucker started making audiences laugh with the films back in 1998. We got our second film in 2001 and the third in 2007, with the first three films grossing $850.6 million at the worldwide box office. There were rumblings about the film back in 2012, but it came to nothing. Last year, Jackie Chan spoke about a possible fourth installment, saying that it’s likely to happen. Should a fourth Rush Hour go forward, it will likely be with a new filmmaker behind the camera, as original trilogy director Brett Ratner is facing numerous allegations of sexual harassment and has severed ties with Warner Bros., the parent company behind the franchise’s studio New Line Cinema. Do you guys want to see a Rush Hour 4? Who would you like to see direct the next installment? Let us know in the comments below! The post Jackie Chan Shoots Down Rush Hour 4 Rumor appeared first on ComingSoon.net.